As much as I love face masks, I’m also pretty lazy with them and am never sure what time I should do it. Before I shower? Early in the morning? But if you do the latter then you just go to bed with great skin, and it’s wasted! But there’s no doubt that masks instantly perk up your complexion – so when my skin is having a dull day, there’s a new product on my radar which i’ve been reaching for recently – the REN Flash Rinse 1 Minute Facial. The clue is in the name! In just one minute, the exfoliating formula within the mask works to leave skin looking polished and perfected. I have been applying the slightly gritty, almost toothpaste like formula while in the shower and my conditioner is sinking in – you wet your hands and massage it in before leaving it to sit on the skin for one minute, and then washing off. The result is a polished and healthy looking complexion which makes makeup application a dream! I use it every time that I deep condition which is pretty much every 3 days. 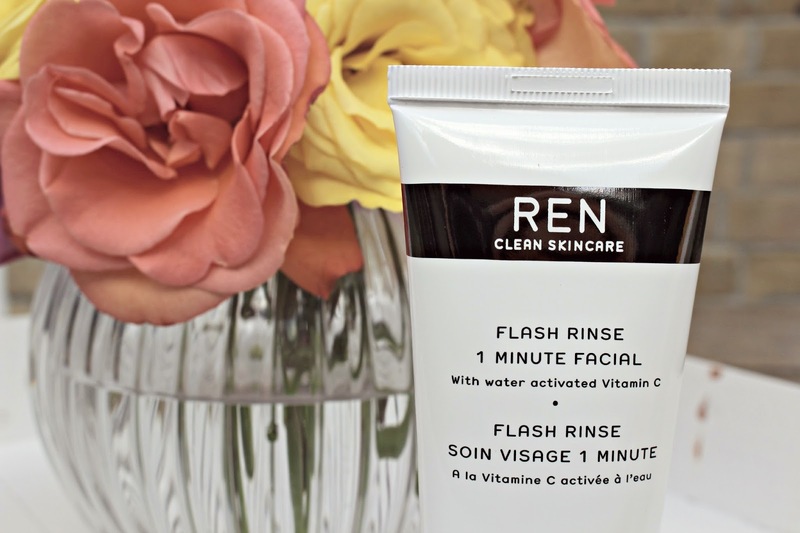 REN promise that the Flash Rinse removes blackheads – while I wouldn’t say it totally removes them, it does make my skin look clearer and definitely adds radiance. It has just been released and is £32 online and in department stores – you only need a small amount so I think the tube will last about 3 months, and trust me, by then you’ll be addicted to the results! Have you tried the REN 1 Minute Facial yet?